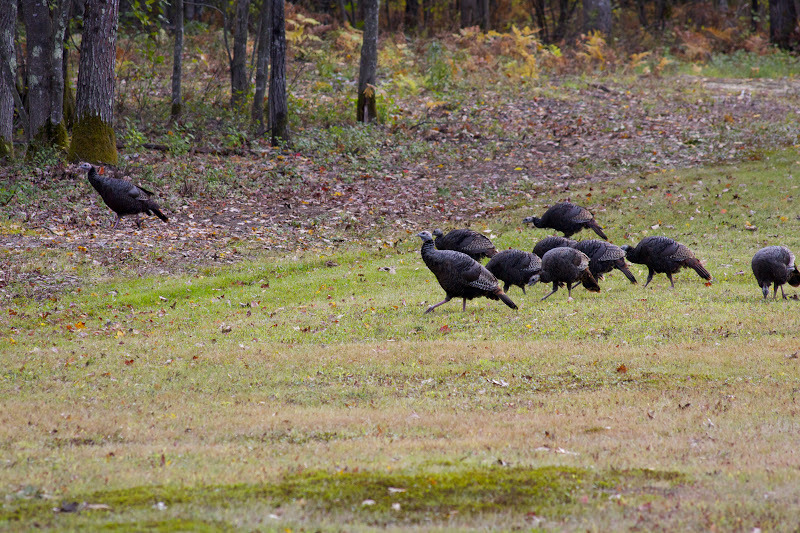 Thanksgiving is quickly approaching and these smart wild turkeys are headed for the woods! What’s headed for your plate on this feast-centered holiday? I know that some of my blog followers have already committed to a primal lifestyle, but many of you are newer to the concept and will have just finished a “30-day Paleo Challenge” in time for Thanksgiving. Now, before you go off the deep end, undoing much of your hard work and your body’s healing process, let’s consider the paleo-ish options for satisfying your favorite holiday tastes. Many traditional dishes have paleo-versions that are just as tasty. How do you approach the holidays and what are your favorite go-to dishes?